Many people believe that the Bible has answers and encouragement for our lives--our questions, struggles, heartaches, and joys. But most people don't know where to find the answers within the pages of Scripture. People need a tether to Scripture and a map for journeying deeper and learning more from the Bible. Organized by topic, God's Wisdom for Women is the perfect starting point for women to easily discover what God has to say about their lives and journeys. Within each topic readers will find truth from God's Word, encouraging quotes from leading writers, practical steps, and suggestions for further reading. 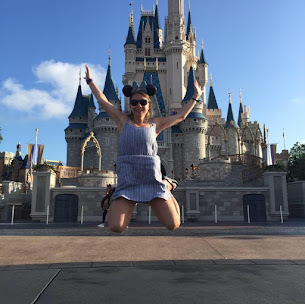 More than 50 topics--such as decision-making, friendship, contentment, grief, worry, guilt, and social media--cover a range of experiences, hardships, and joys, allowing women to seek hope and encouragement from Scripture for themselves and others. 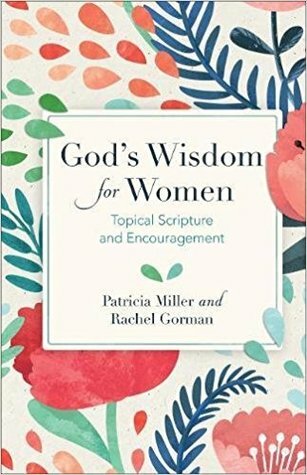 God's Wisdom for Women is a topical scriptural and encouragement, spiral bound book for women by authors Patricia Miller and Rachel Gorman. What I love about this book, is the several topics and the subtitles that are underneath each topic. Some of the topics include Daily Struggles, Knowing God, Lifestyle, Encouragement, Relationships, Difficult challenges, and more. It then unpacks more topics in expansion in various translations such as English Standard Version, NIV, NKJV, NLT, The Message and other translations. The cover is gorgeous and the spiral bound is lovely to study topics in depth. This is such a great tool and I love that this could be used in the counseling area with Christian counselors who are looking to refer to a Bible verse quickly, especially when in a session. I love that this has topical readings on social media, money, decision making and time management. This is such a great tool, I can't get over it! It's so easy to read and informative. I give this book 5/5 stars. A favorable review was not required.